Dr Camille Carroll, Research Fellow in Clinical Neuroscience at Plymouth University Peninsula Schools of Medicine and Dentistry, and consultant neurologist with a specialist interest in the field of Parkinson’s disease, has been appointed National Institute for Health Research (NIHR) Clinical Research Network (CRN) National Specialty Lead for Neurodegeneration. Dr Carroll will hold the role until the end of March 2020. Specialty Leads are the key clinical ambassadors for the NIHR CRN. In her role, Dr Carroll will provide national leadership across commercial and non-commercial clinical studies in neurodegeneration, which includes Parkinson’s disease, motor neurone disease and Huntington’s disease. She will also develop relationships with a variety of groups including the public sector, charities and life-science funding organisations and maintain oversight of the specialty’s research portfolio. Dr Carroll undertook her preclinical medical training at the University of Manchester, where she also completed an intercalated PhD (1994) investigating NMDA receptor antagonists (a class of anaesthetics) in models of Parkinson's disease. She completed her clinical training at the University of Oxford in 1997, before undertaking junior medical positions in Oxford, Bath and London (including NHNN), gaining MRCP in 2000. Her neurology specialist training took place in the South West and West Midlands Deaneries with posts in Plymouth, Bristol, Birmingham and Coventry. She entered the specialist register in January 2007. 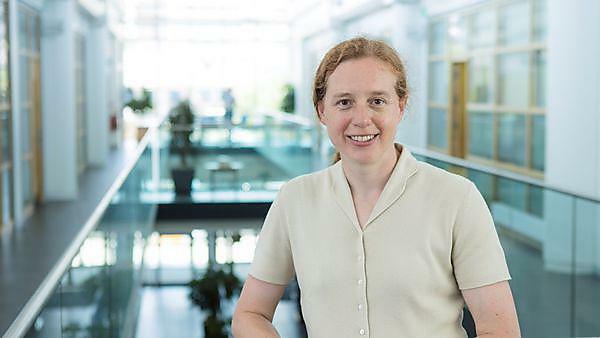 In 2007 Dr Carroll was awarded a Medical Research Council clinical research training post-doctoral fellowship which allowed her to develop research interests investigating neuroprotective mechanisms in cell culture models of Parkinson's disease. Her current focus is on early disease detection and clinical trials of neuroprotective interventions in Parkinson's disease. In addition to her new role with the NIHR CRN, Dr Carroll is also Specialty Lead for Parkinson's disease in the South West Peninsula CRN and also Division 2 Clinical Specialty Lead. She sits on the national Clinical Studies Group in Parkinson's disease and chairs the Peninsula Parkinson’s Excellence Network.